Revenge has media backing. Entertainment media is suffused with violent images of revenge. Is not most of what is called action and drama cable programing and movies about taking revenge? Gladiator and Kill Bill come to mind but there are hundreds of revenge programs and movies. Tough guys and gals go settle scores via jihads, wars, crusades, etc., and pander to the basest of emotions for entertainment dollars. Revenge is valorized. Revenge is shown as what the character (and the viewer vicariously) must do to obtain closure. So, the ‘victim’ becomes the avenger. After killing the perpetrator, the avenger walks off mollified that he or she has justifiably killed another. Yet, in reality, taking revenge is never the end of the story. Revenge never brings the curtain down. How is this impulse for revenge, as depicted so often on the screen of black box, inscribed into our lives? On Twitter a while back I engaged a woman in a conversation. As the thread became about control gun around a school shooting, I jumped in with a reply and stated that the media and those who consume those things are also blameworthy. I said that what is shown on TV and in movies and video games reinforces the idea that violent revenge is the answer to injustice. In her replies to me, the woman was adamant that the media was benign. She replied with several of her Google search findings which she felt supported her position. I could tell from her responses that she also had a vested interest in saying the media was harmless. I learned that the kids she was caring for played video games. I ended the conversation with her mentioning that the sheer volume of programing that depicts violent revenge as the answer to a wrong must influence a person’s behavior subconsciously. She was resistant to the notion. What I wanted to add: commercials are made to influence consumer behavior. The hourly and daily repetition of the same commercial will soon have a person, in Pavlovian response, finishing its jingle or its phone number or reciting the words of its comical product sketch at the office. Clearly, those who want to influence behavior use the media. The nightly newscasts that talk about “gun violence” are meant to stir up emotions against guns and their owners. Consider what the volumes of violent revenge images in the media do to the viewer, especially to the lone viewer and to the viewer with unresolved anger at some perceived offense? The scenarios do not depict reconciliation. The scenarios depict anger and rage fulfilled. Consider also the effects of the news media’s attention to mass killers. A slap of my face would be a stinging rebuke. A slap of my face means someone is in my face about some matter and it is personal. A slap of my face is a challenge prodding me to answer back with equal force or to walk away in shame. A slap in my face is a show of power. I am told by Jesus to turn my other cheek into the line of fire. Doing so is the real show of power – restraint with the knowledge that God sees the offense. My Father in heaven, who also sees me when I pray in secret, will make things right. How can I be sure? Jesus, with servant-restraint, made it clear as he stood before Pilate that there is a Kingdom not of this world where he reigns as king. Jesus let Pilate know that there was a new power in town and with it comes a new justice system based in truth. How can I be sure? 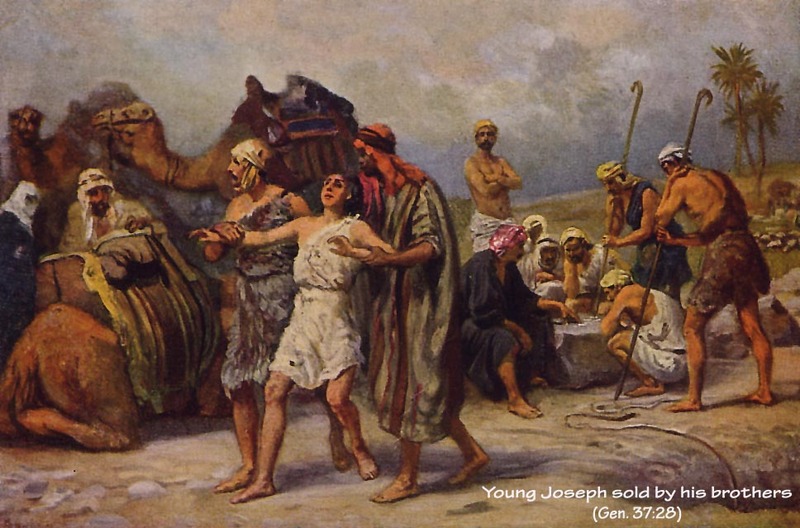 Jesus endured whipping and slapping and mocking – evil’s stinging rebukes – and yet Jesus did not retaliate. Jesus did not call down angels to annihilate his accusers and torturers. Revenge would not reconcile the world to himself. Turning the other cheek is about the ministry of reconciliation. To take revenge is to reject reconciliation. To not forgive as a means of revenge is to reject reconciliation. To copy-cat violence back onto another is to reject reconciliation. To take revenge with words is to reject reconciliation. The message of reconciliation will be offered out of red swollen cheeks. Keep that image in mind and reject the images of revenge. The inscriptions of hatred must be fully erased and the threads of violence yanked from the media. End “sweet revenge”. Gaming disorder is defined in the draft 11th Revision of the International Classification of Diseases (ICD-11) as a pattern of gaming behavior (“digital-gaming” or “video-gaming”) characterized by impaired control over gaming, increasing priority given to gaming over other activities to the extent that gaming takes precedence over other interests and daily activities, and continuation or escalation of gaming despite the occurrence of negative consequences. World Peace. Now there’s something your mother would love-the kids not fighting! But it will take some doing. FTD is not showing this item on their webpage. Hallmark may have a singing “What a Wonderful World” gift card. Good luck finding that one right now. In the meantime-between War and Peace, that is-I suggest that you at least call mom and thank her for her wisdom, her support and her prayers on your behalf. World Peace. If you think about it world peace comes when the world is ordered in such a way that man, a free moral agent, doesn’t repeat the history of self-centered reason leading to violence and to exclusion. I’ll tell you what I mean a little bit later in the post. Out of a political will based mainly on reasons of security through power, countries with formal boundaries and armies would form. But, this did not happen without the give and take of diplomacy and frequent battles over territorial claims. The flux of national wills would determine the world order at any given moment. Today’s tenuous world order, as viewed from the U.S., includes aggressive-always seeking to expand Russia, passive-aggressive imperial China, the tinder-box known as the Middle East and the ever obtuse North Korea. Today’s world order also includes the incendiary radical Islamists who are central to Iran’s deployed political will of “do or die” theocracy. There are non-state terrorist groups aligned with Iran. All this and sectarian strife: neighbor against neighbor. As I see it, the stability of today’s world order borders on chaos. Cyber black-hat communities and international terrorists may hack, steal, deface and destroy information systems necessary for a nation’s financial and political security. There are no territorial borders in cyberspace, no rules of engagement, no easily determined policy of retaliation and only a faint hope in a firewall as means of deterrence. 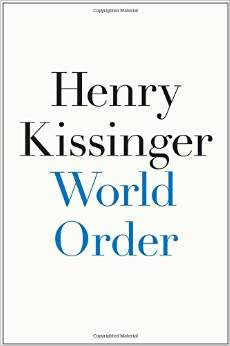 As technology rapidly advances, Kissinger warns, so do the implications of world order rapidly taking a turn for the worst. On the same page Kissinger asks, “Where, in a world of ubiquitous networks, does the individual find the space to develop the fortitude to make decisions that by definition, cannot be based on consensus? AND thanks to nebulous foreign policy decision-making by the Obama White House, nuclear proliferation is increasing! Nuclear armament is now considered a necessity by countries such as Sunni Saudi Arabia. The Saudi are concerned about Shia Iran and nuclear asymmetry. Currently, U.S. foreign policy appears to be a policy based primarily on President Barack Obama’s vision of himself and his desired legacy. Could it be that Obama wants to see himself as egalitarian with Iran to the point of doing to Israel what he does to America over and over? The only sure thing we have learned about Barack Obama’s World Order policies which effect both domestic and foreign issues is that Obama’s allegiance is to his far left political ideologies and has never been with America and its lessons-learned traditional values. Oh sure, nice ‘flowery’ speeches are made in kabuki theater-like moments but his passive-aggressive actions and his evocative denigrating words are reminders of his early-60’s radicalized mindset. He is not for peace. Obama is a divider of classes, races and genders. World Peace is the last thing on Obama’s mind. He wants “transformational change”, whatever that is. It could mean that the U.S. becomes the People‘s Republic of Obama. Remember, Obama was mentored by radical leftists, leftists who pledged their allegiance to the “Goddamn America!” flag. Barack Obama was taught to denigrate America within a vision of world order that does not embrace our historical roots. Those roots are of no value to him. Obama mentions Abraham Lincoln and Martin Luther King and yet has no clue as to the depth of moral character or the extent of sacrifice each of these larger than life men had brought to America. These two men so endeavored with their prayers and decisions to bring about reconciliation and peace, not Obamic division for political gain. Obama’s “Dreams from My Father” reveals to us that he is always looking over his shoulder, looking for Jim Crowism, for colonialism, for unabashedly proud Americans. He wants to shame America and Israel into submission to his political will, a will that only knows a radicalized world order. Little wonder he ‘empathizes’ with the Iranians, giving them the benefit of many realized doubts. But, that’s enough writing about our lame-blame President. He will be out of office in twenty months. Mothers, rejoice! So you want to give World Peace to your mother for Mother’s Day? It will take some effort on your part to make this happen. 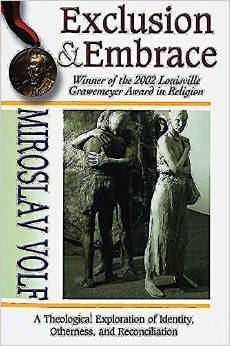 First I recommend to you Miroslav Volf’s book, “Exclusion and Embrace: A Theological Exploration of identity, Otherness, and Reconciliation”. This book is mentioned in a video within my post “The Problem of Evil, A Good God and a Different Way to Be Human“. 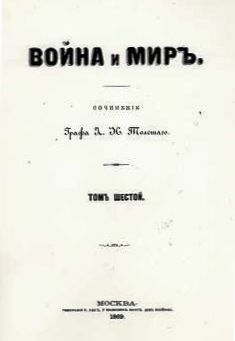 N.T. Wright brings up the book while discussing forgiveness. Second, in the same video mentioned above N.T. Wright discusses forgiveness in light of Volf’s book. Is forgiveness weakness? Is forgiveness capitulation of power, a loss of reason? Or, is forgiveness true power, true freedom and true embrace of the other. Is forgiveness the means to true World Peace? Forgiveness is part of a larger reconciliation package: where evil has happened, it needs to named for what it is and in a sense shamed and then dealt with. “Where real evil has happened it needs to be addressed.” Forgiveness and reconciliation addresses what has actually happened. Within this context of embracing the “other” people are brought together. New life, new order is restored. Amazingly powerful and new possibilities including healing of communities will occur. World Peace ensues. As Wright describes in the video, shutting the door of your heart to God’s forgiveness leaves us on inside looking out. I would add that a root of bitterness begins growing down through the floor boards making you decision to move through the growth to open the door difficult and then, later, almost impossible. These are heavy concepts but you love your mother so take on these truths and become a peacemaker for Mother’s day. “Blessings on the peacemakers! You’ll be called God’s children”-this Mother’s Day. Looking over the strata of my life, I can see very clearly now that growing up I had an Old Testament (OT) view of life. Early on I began to indoctrinate myself with lists of things which were not right for a person to do. If I erred, which I often did, then subsequently I would receive in my conscience the requisite judgment and punishment. Basically, I saw myself as a sinner in the hands of an angry God. My life was abundant with shame and lacked mercy toward myself or others. My thoughts on the rightness of capital punishment fell in line with this uncompromising understanding of my sinful self and the judgment I deserved. I thought, “An eye for an eye? So be it. It is just.” But now, though I continue to be politically and socially conservative, I have since changed my view on this life and death matter. A lot of my early misconceptions about God and the balance sheet I thought that he kept came from my own projections onto God, my father’s own upbringing being infused in me and from the churches we attended. My father was raised in a strict Dutch Christian Reformed home. He knew even more shame and punishment under his father’s iron rule of their home. My dad’s family dutifully attended a Dutch Christian Reformed Church (CRC) situated at the end of their street. The church’s moral code was much like River City, Iowa’s morally proper society as portrayed in the musical The Music Man. Movies, dancing, pool halls were all considered taboo. Sunday was considered the Sabbath and no work was to be performed on that day. Unlike River City, Iowa though, drinking, smoking pipes, cigars and cigarettes were openly enjoyed right after the church service. In his twenties my father broke away from the Dutch Christian Reformed Church and started attending a Baptist church in the Andersonville area in Chicago. He soon met my mother at this church. They married and later attended the Moody Bible Institute together. I was born while they were students. Over the years our family attended a Baptist/Bible church. There were still OT rules and regulations but the boisterousness of the Baptist church (as compared to the almost absolute silence of the Reformed church service) sounded merciful and more accepting of one’s sins and foibles. To redeem yourself from destruction, there were the constant pleas from the pulpit to walk the aisle and to repent of your sins or to come forward and rededicate your life to Christ or to come forward and vow to become a missionary. Those were the options I remember. Dealing with personal shame and guilt, the inner man, never seemed to be on the agenda. But, knowing your Bible in and out and cover to cover was on the program. And, in those days, talking about the Holy Spirit was almost taboo. Everything still had to be done decently and in order, every jot and tittle of your life was parsed against the black and white of the Scriptures. I am thankful that my dad walked away from the Dutch CRC and not from the Lord. I am thankful for the grace and mercy he has shown to me. My father never acted in anger or in harsh judgment of me. I am thankful for some of the time I spent in the Baptist church and for my immersion in the Scriptures. It was in the Baptist church as an eleven year old that I believed and called Jesus my Lord. I was baptized not long afterward. But I too would later walk away from what I had been brought up in to look for more grace and mercy, to look for the REAL and not the pretentious. In my case, a load of sinfulness and a sense of reckoning ever mounted. Walking down the aisle of a church was fruitless exercise. Over time, though, I found these two paramours, grace and mercy, in a close relationship with the Lord. And, I found my REAL self by taking the Eucharist every week. My intimate relationship with Jesus was born out of a lot of personal suffering. Some of the pain came out of my own sin and folly and some of it came Job-like out of the blue. I have incurred some major crippling losses in my life including the death of a child. I realize now that some of those hard times were acts of mercy – losing what was precious to me at the time but not losing everything as I rightly deserved. These and other losses helped me to see that mercy and grace were always there with me. And because the weight of what I was dealing with was so enormous I could finally feel God’s hand beneath me. With this safety net underneath I began to cast out my fear. I was able to give up my sin, my shame and my anger. I began to have mercy on my self and toward others. All of this past reflection brings me to my current view of capital punishment: no capital punishment, no death penalty. Without going into balance sheet retribution or what’s owed to society or to the victim’s rights or into capital punishment as a crime deterrent or into the enormous cost of operating the penal system I simply believe that every person should be shown mercy, whether they are in the womb (the most innocent) or on death row (the most guilty). Mercy is not the absence or negation of justice. Mercy is the outcome of justice which acknowledges the wrong-doing before both parties (the perpetrator and the victim) and demands retribution. But instead of giving the criminal what he fully deserves mercy, instead, hands the perpetrator the noose of time. 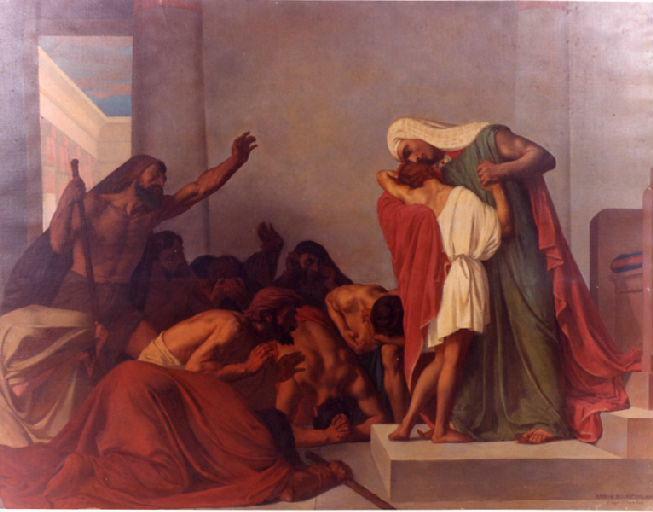 “Surely goodness and mercy shall follow me all the days of my life.” I believe these OT words from Psalm 23 accord with a New Testament (NT) response to man’s violence against his brother: a perpetrator of a crime and the victim may both find goodness and mercy if they turn to God’s Truth – Jesus Christ. The eye for eye retributive justice of the Old Testament has been replaced by a NT call to a relationship with Jesus Christ: goodness and mercy incarnate. The Sacrifice of Jesus on the cross showed God’s solidarity with victims throughout all time. Through His sacrifice the power of violence was renounced and the power of love and truth were advocated. But not only has the self-giving God shown solidarity with the victims but He invites the perpetrators into the same divine circle of love with the victim. He does not abandon the godless to their evil. “Christ died for the ungodly, the Just for the unjust.” He has loved our enemies when we could not. In a divine relationship with Him we are able to show mercy, repeated mercy and mercy again. Two thousand years ago, two thieves, one on each side of Jesus, received capital punishment for their crimes. One repented. One did not. The onlookers and the victims and accusers of the thieves had also been followed by the same goodness and mercy as were the thieves. And like the thieves they would also have to decide where they stood in relation to the Cross of Christ. So would Barabbas. Time as mercy would tell.